Bebas Kai(改) is a free display font for headline, caption, and titling designed by Ryoichi Tsunekawa. Bebas Neue Pro is a premium font family with 10 styles including lowercase and Italic based on Bebas Neue version 2.000 (2018) . Available from Myfonts. Available from Our partners such like Myfonts and Patreon. From version 2.000, Bebas Neue has become open source font. Licensed under the SIL Open Font License v1.1. From 2018, Bebas Kai has become open sourced font. Fontfabric designed additional weights and glyphs. 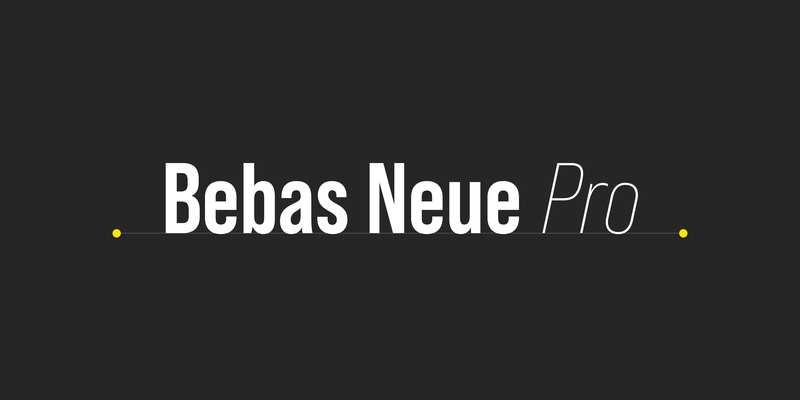 They are distributing the font family under the same name of “Bebas Neue”. Available from Our partners such like Myfonts . Bebas Neue was re-designed from Bebas (2005) font for the same purpose. First released in 2010. Bebas Neue have same proportion and theory as original Bebas (2005) font. Boycott is distressed font designed based on Bebas(2005). Available from Our partners such like Myfonts. Bebas is a free font for the purpose of type design training/practice for myself and to get feedback from the world. Please support our free font project. Our free fonts are free even for commercial use. You can use them without any purchases. But we welcome your support for free font project.